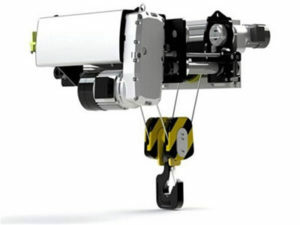 European standard electric hoist (also known as ND type steel wire rope hoist) manufactured and designed according to Europe FEM standards, with advanced concept, attractive appearance, driving unitis imported from Germany. 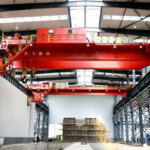 the whole machine with compact and reasonable structure, simple operation and convenient, safe and efficient operation, meet the requirements of modern low noise, energy saving and environmental protection. 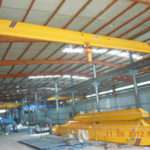 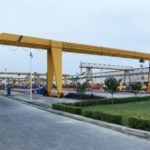 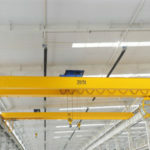 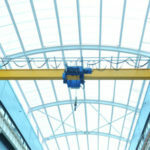 ND type electric hoist can be divided into low height monorail trolley (ND type, apply to single girder of electric single girder cranes), double girder crane (NDS type, suitable for double girder crane) and stationary type . 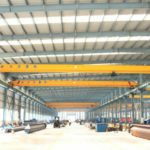 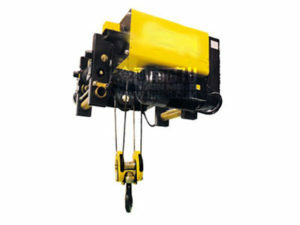 Single girder trolley electric hoist, standard weight is 1~12.5T, standard lifting height is 6m, 9m, and 12m. 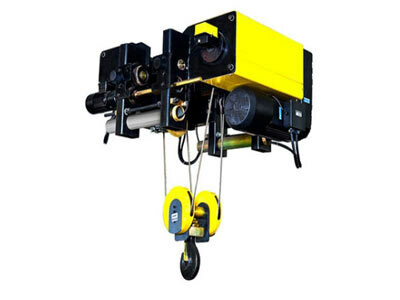 Double girder trolley and fixed type , standard weight is 3.2~80t, equipped with auxiliary hook, the lifting capacity is 10/3.2~80/20T, standard lifting height up to 18m. 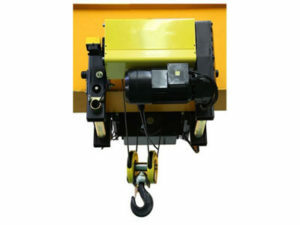 Running speed: 2~20m/min stepless frequency control, standard lifting speed is 5/0.8M/min and the frequency can be control, smooth braking, small crane swing, positioning accuracy, performance improved greatly. 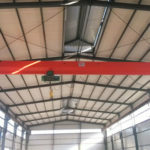 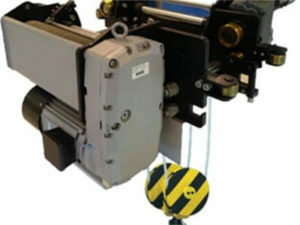 The working grade of electric hoist is M5.